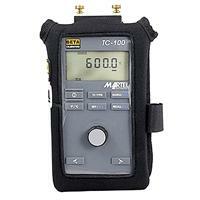 The Thermocouple Calibrator provides high accuracy and measurement of ten common thermocouples, as well as mV. 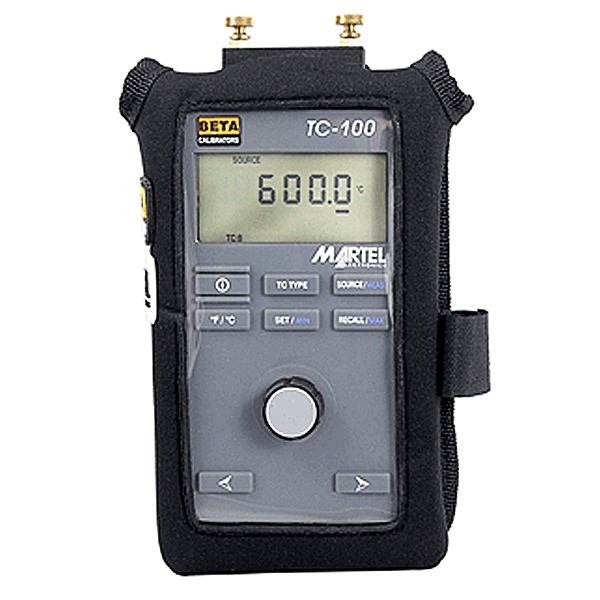 The TC-100 thermocouple calibrator's accuracy of ±0.3 °C for Type J T/Cs includes all errors, at resolutions of 0.01 °C or °F in measure mode, and 0.1 °C or °F in source mode. Features including MIN/MAX recall in measure mode, three set points per thermocouple range, a large knob for decade control of the output in source mode, and the ability to accept bare T/C wires in addition to mini-plug inputs, makes the thermocouple calibrator an accurate, easy-to-use instrument for all your thermocouple calibration needs.